Welcome to the Top-End Performance Weber Carb Site. Jetting and Tuning Downdraft and Sidedraft Weber Carbs. Okay....This is going to be the Short Course in what you need to know to Tune and Jet your Weber Carbs successfully...This also applies to Mikuni, Solex, Etc....This is not specific info about specific cars or giving you magic jetting numbers. This is the process we use to tune a car when it is in our shop. I have over 25 years experience tuning these carbs and there is no magic to it. It is just a step by step process that once you get the hang of it you will be able to make your carbs work right every time. It involves more than just Jetting the carbs and in fact that step is the easiest....Following these steps and rules will also make it much easier when you are purchasing jets for your carb...This applies to a single 2 Barrel Downdraft 32/36 Carb or a set of Triple DCOE carbs or even a set of 4 Downdrafts on a V8 engine....The 2 books listed at the bottom of this page are invaluable tools for learning all the basics of your carbs and the various metered tuning pieces that are used in them. It is well worth the small investement in money and time to buy and read these books to help you better understand the carbs you spent all that money on. Step-1: If you are having a problem with how the engine runs...Poor idle quality, stalling, etc then this is the first thing to do. CHECK FOR VACUUM LEAKS ! This is particulary true of new installations where you just purchased and installed a conversion kit and you are having problems. You have to remember that most Weber conversions have been around for many years and have been installed on hundreds of cars and trucks. They work. The likelyhood of having a defective carb out of the box is about like being hit by lightning. If you are having a problem on a new install it is most likely this problem or one of the steps below... See the Vacuum leak tech page for this info. DO NOT OVERLOOK this as a problem...This is the #1 problem with any Weber carb conversion. * Do a compression test..If the compression is off by more than 10% per hole you will have a really bad time tuning the carbs. * Always start with a fresh set of Spark Plugs. So not clean them...Start fresh. This will give you a good reading of fuel mixture and enable you to make a good judgement of what you need to do. Step-2: If you have a single carb you can skip this step...If you have multiple carbs then the 1st thing you need to do is make sure the carbs are Synchronized properly using a Correct Synch tool. This is CRITICAL to multiple carb performance...I don't care how good you think you are at synching a set of multiple carbs by ear (I'm very good and I'm not half as good as the tool is.) you are not close enough. The Synch tool will also alert you to other problems in the system like Bent throttle shafts, etc.... Linkage...This cannot be stressed too highly. Badly designed or Worn linkage is the #1 cause of problems with Multiple carb systems. More people have given up on Dual and Triple carb systems because of linkage than any other problems combined. If the carbs are not hooked together in a fashion that has no slop and allows minute adjustment between the carbs you are always going to have problems. Poor idle quality and "sticky high idle" problems are the most common symptom of this. A slight imbalance between the carbs at 1/3 throttle and up is not really noticeable to most people but a miniscule difference at idle will cause all sorts of problems. So in short...Get the carbs synched right FIRST. Repair or replace the linkage as needed to make them work together properly. Step-4: Make Sure your Ignition system is working properly. Remember...A Weber carb is always a performance upgrade and is designed to deliver more fuel and air and make more HP then the stock carb did. This means you need to have adequate spark to burn the extra fuel or you will have problems tuning and jetting your carbs. This is especially true of old British cars and cars that have point type igntion systems. A lack of spark or weak spark will make it impossible to tune the carbs properly or to their maximum potential. This is especially true of all multiple carb installations. You cannot hang multiple carbs on any engine without an increase in spark output and even hope to burn the extra fuel being delivered. A good electronic Ignition system to replace points and the addition of an MSD unit and good coil and wires are the best way to go. See our Ignition tech page for more details. Step-5: Make sure that your Fuel Delivery is right....Once again, you cannot tune carbs that do not have adequate or proper fuel delivery. See our Fuel pump Tech Page for this information. Do not ignore this step. There are alot of theories about setting idle mixture adjustment on a Weber carb to determine Rich or Lean jetting....A Weber will run correctly with the mixture screws from 1/2 turn to 3 turns out...The late style DCOE carbs with the extra Air Bleed Screws on the top take 2.5 to 3 turns to operate correctly...So you cannot say that because it is 1/2 turn out that you need smaller jets....You need to find what is right for that particular engine...An engine with a strong vacuum signal will draw more fuel in with less turns of the screw than an engine with a weak vacuum signal will...This is the kind of thing that throws the "certain number of turns" theory out the window.. The Mixture screw and idle circuit is CRITICAL to the overall driveability of the car. It does not just control idle but the entire low speed running and part throttle transition. The mixture screw lets in an ALREADY MIXED volume of Fuel and Air to the engine. This is not an Air Screw. The more you open it the more mixed fuel and air enters the engine. Clockwise is Leaner and Counter-Clockwise is Richer. The mixture screew is very easy to set whether it be a downdraft, sidedraft or multiple sidedrafts. Start with the screw or screws out 1.5 turns....Start the car and let it warm up. Set the Idle SPEED to approx 900-1000 RPM..Make sure multiple carbs are synchronized...Turn the mixture screws in until the idle starts to stumble and get rough...On a sidedraft with 2 screws do them each a little at a time....Then back them out until the best idle quality is acheived. This is a very simple operation...The car should idle well and small adjustments leaner (Turning them in) should make the idle drop off. Opening the screws more should make it a bit richer but it should still idle. Assuming you have no vacuum leaks this is a very simple process. If you cannot get a good adjustment on these screws and you have to open the idle speed screws quite a bit to get the engine to idle there is a good chance you have a Vacuum Leak and you need to fix it. Very Simply..The bigger the number the richer the jet. A 50 Idle jet is a .5mm fuel hole. On the DCOE and IDA series carbs they have 2 numbers on them like 50F8. The 50 refers to the .5mm fuel hole and the F8 Refers to the Air Bleed hole in the side. IDF carbs are similar to the DGV and DFV series in that the air is mixed internally. There is no F Number to deal with. The IDA carbs have no Air Bleed Hole but do have an F number to identify this feature. It is an F10. The Air Bleed for the IDA carb is in the Idle Jet holder and it is metered similar to the DCOE. For those of you with multiple IDA or Rotary engines running a single 48 IDA you usually know what you are doing so I won't go into all the details on this.,.. Idle jets are in .5 steps...50,55,60,65 etc. The bigger the Idle jet number the richer the jet. 1 step in idle jet size can make a HUGE differerence. Do not go up or down more than 1 step at a time when tuning the idle circuit. Okay...So now your car should idle correctly, the carbs are synched, the timing is set, everything is good....Time to get the main circuit right. Drive the car. It should come off of idle good and transition to the main circuit smoothly...If it falls on its face and will not take any throttle or runs better if you back off the then you could have a few different problems depending the type of carb. Before you blame the carb make sure you have the Fuel delivery right and the Spark Timing. If you do not have enough advance you will have this problem and it will have nothing to do with the carb tuning. Here we go....This is the real tricky part. I feel that Sidedraft DCOE , IDF and IDA carbs are easy to tune but you have to have a real feel for Rich and Lean and understand how the carb works. 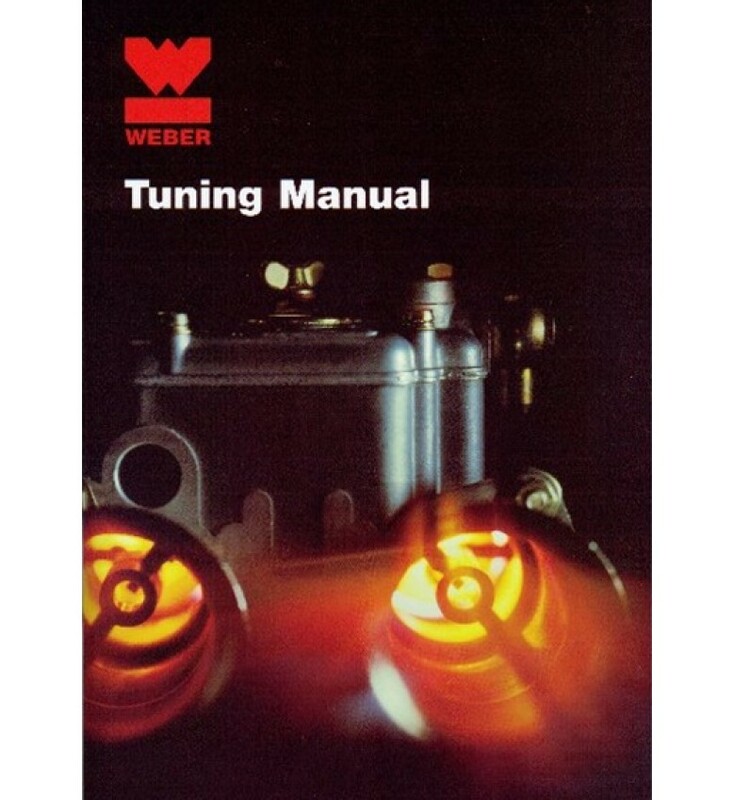 To get a good understanding of this I cannot recommend too highly to get the Weber Factory Tuning manual and really understand what each component does. That said this is the real Cliff Notes version of tuning the power circuit of these carbs. Here is a very basic chart of what venturi sizes you need to popular vehicles and engine sizes for STREET USE...All out race engines are a totally different story. Use the engine size and HP rating to estimate what you need for your car or engine if it is not listed. A great reference book for rebuilding, tuning, etc. This is the factory tuning manual with all the calibrated parts specifications, circuit diagrams, etc. 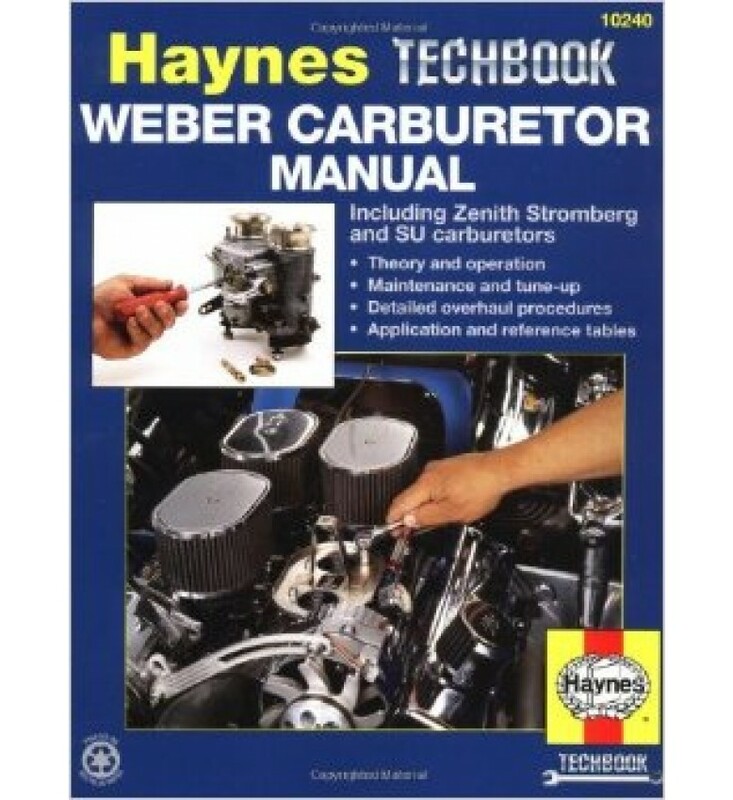 This is the book to have if you really want to know how a Weber carb works and what all the pieces do.